Tod Johnston certainly has the genes for being in the spotlight – thanks to mum Jill Perryman and dad Kevan Johnston, both well known nationally for their wonderful performance history in Australian theatre – it’s probably no surprise he ended up on stage. Tod’s experience in the entertainment industry has spanned not only decades but many different genres – in the form of singer, television host, radio announcer, songwriter, producer, master of ceremonies and corporate host. After completing a Bachelor of Science Degree (Environment) at Murdoch University, Tod began his career in the music arena. One of his first bands, V Capri had a huge live following, went on to record and had great success in Western Australia with their debut album, with singles hitting the number one spot on the local charts and winning many music awards. Today, Tod can be seen performing as lead singer of popular band “Peace Love” –constantly in demand for major corporate events including Leeuwin Estate Concert, Ord Valley Muster and Hopman Cup Ball. Tod has an incredibly talented jazz/swing combo – from the high energy rock and roll of PeaceLove to the smooth jazz and swing sounds of Tod Johnston In The Lounge – his musical expertise is varied. Alongside the option of a jazz combo, Tod also writes original music and performs classic country rock in Tod Johnston & The Heartland. Tod’s television career began in the nineties at Channel Ten as host of a music video show, followed by a role presenting a children’s television program. Tod’s Environmental Science degree was well utilised when he spent eight years as Weather Presenter on Channel Nine, Perth – much of that time spent out in the community and with school children, bringing weather, environmental concerns and the media to the schools. Tod is an experienced radio announcer, having worked with ABC Radio and 6PR and 98.5. He also hosted a lifestyle program for Seven Perth –also appeared nationally on the Nine Network as the West Australian presenter of Wine Me Dine Me – travelling throughout the state to showcase the endless variety of intriguing people, locations and their take on the local food and wine industry. He has also presented many stories for lifestyle programs including Host of Destination WA. Tod can also be seen overseas on UK Television – being involved as their Australian presenter for many tourism promotions on the popular breakfast program ITV. 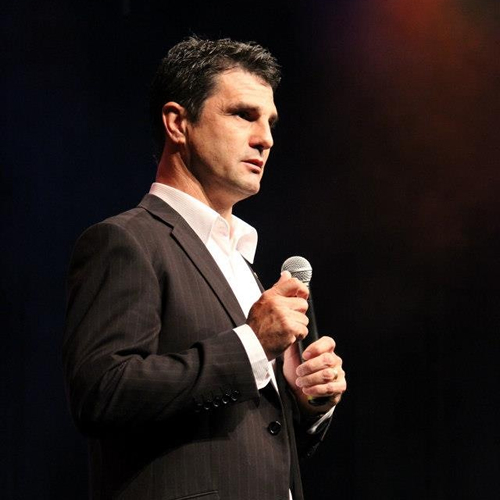 This vast and diverse background in media and the entertainment world makes Tod Johnston Western Australia’s most versatile performer and speaker.